In your dogbite lawsuits expect the insurance company adjuster to deny that their insured’s dog bit anyone. Remember, the burden of proof is on you to prove the ultimate facts necessary to win your dogbite lawsuits. To win your dog bite lawsuits, you must be prepared in court. If you do this, then your dogbite lawsuits probably will settle out of court or in litigation. How you present your dogbite lawsuits with evidence is critical to whether you receive money from the defendant’s insurance company. It happens not infrequently that the dog owners will move their pet to Mexico (or so they say) when animal control, quarantine the biting dog, cite the dog owners, or you sue them in your dogbite lawsuits. Whether the dog goes to Mexico is not the point, the dog is probably being harbored at a friend’s home or it is in the dog owner’s residence. I have repeatedly received this sworn response in written discovery when I ask “Where is the dog now kept?” I receive the sworn response that the dog now is in Mexico It is actually kind of funny, since it is an incredulous sworn response. Why is the location of the dog important? 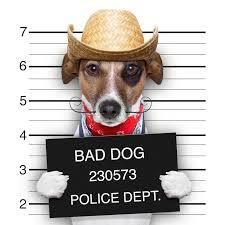 Identifying the culprit dog as the dog that is owned, kept, harbored by the defendant is a necessary element of proof in your proving up your dogbite lawsuits. Now where the dog went to Mexico happens, you should motion the court for sanctions and request that the court make a finding that the defendant is the owner of the dog that caused the injury. Remember, that many of these cases involve serious disfigurement to children caused by dogs and the money damages will be thousands of USD dollars paid out by insurance companies. Also understand that insurance companies guarantee themselves a profit by giving to the State Insurance Commissioner their losses to justify and establish a “fair” premium which makes it profitable to do business in that state. Perhaps I will have a separate blog on insurance practices. Just understand for now that premiums don’t belong to you. It isn’t your money once you pay your premium. It is the money of the insurance company as are its losses and profits. Generally, the profits go to the shareholders.